Solar power is one of the most promising renewable energy technologies, allowing the generation of electricity from free, inexhaustible sunlight. Many homeowners have already begun adopting solar electricity, and large-scale power generation facilities in the Southwest offer solar’s advantages to thousands of customers. But solar still faces a number of hurdles before it can truly replace fossil fuels for power generation for most Americans. One of the biggest hurdles to the widespread adoption of solar power is variances in solar intensity. According to the National Renewable Energy Laboratory, the sun provides almost twice as much energy to the Mojave Desert as it does to the Pacific Northwest. Because a panel’s output depends on the amount of solar energy it receives, this means solar is a much better power source in Southwest deserts than in other parts of the country. While a solar panel can provide at least some free electricity anywhere in the country, the investment will take much longer to pay for itself in regions without intense solar coverage. 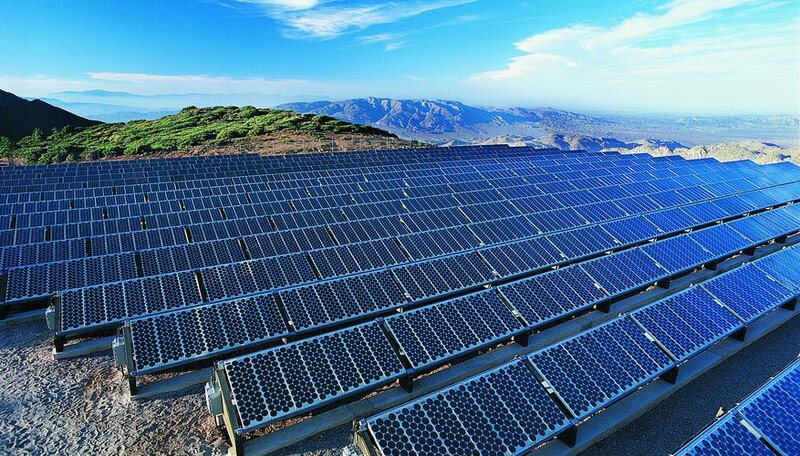 Another obstacle to solar electricity is photovoltaic efficiency. If you live in the desert, a single square meter of solar panel could receive the equivalent of more than 6 kilowatt-hours of energy in the course of a single day. But a solar panel cannot convert that entire amount of energy to electricity. The efficiency of a solar panel determines how much of that power is usable, and most commercial solar panels on the market in 2013 have efficiency ratings of less than 25 percent. The more efficient a panel is, the more expensive it is to produce. Barring any major leaps in technology, efficiency ratings beyond 33 percent are unlikely in the near future. One major problem with solar power is reliability. At best, a solar panel can produce electricity for 12 hours a day, and a panel will only reach peak output for a short period around midday. 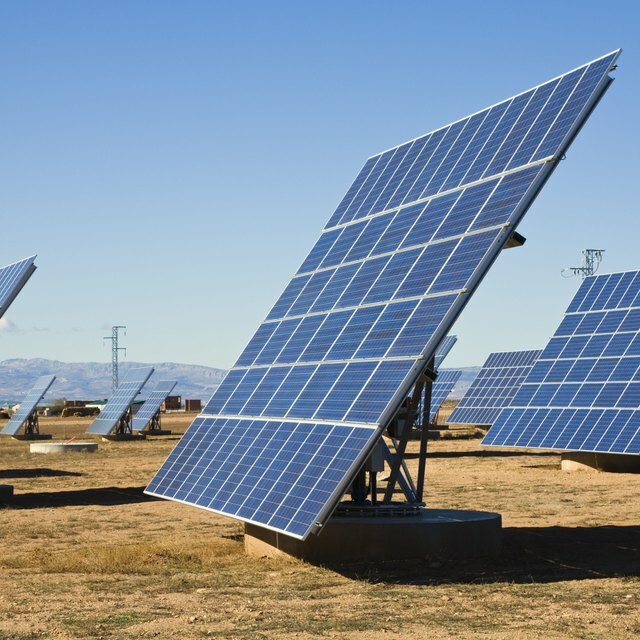 Tracking panels that follow the sun can extend this prime generation period somewhat, but it still means that panels spend very little of the day producing at maximum capacity. Storage batteries can charge during peak generation and provide a trickle of power at night, but they can be expensive, contain toxic materials and wear out quickly due to repeated charge and discharge cycles. While solar generation is emission-free, the manufacture of solar panels and related technologies can involve some environmentally unfriendly substances. Nitrogen trifluoride is a common byproduct of electronics manufacture, including those used in solar cells, and it is a greenhouse gas 17,000 times more potent than carbon dioxide. In addition, many solar cells include small amounts of the toxic metal cadmium, and the batteries required to store generated electricity can contain a host of other heavy metals and dangerous substances. As solar technology improves, manufacturers may be able to move away from these potentially dangerous substances, but for now, they mar the otherwise impressive ecological benefits solar power offers. Is Solar Power Technology Accepted Today? Kazmeyer, Milton. "Future of Solar Power: Obstacles & Problems." Sciencing, https://sciencing.com/future-solar-power-obstacles-problems-21852.html. 10 March 2018. What Is the Availability of Solar Energy?